Smoking-related disease is snatching beloved family members and friends away from us at an alarming rate. The diseases caused as a result of smoking is disheartening and the picture emerging is quite gloomy as recent reports state we are witnessing a global surge in cancer incidents with smoking as one of the three leading causes. According to the World Health Organization, smoking related-diseases kill 1 in 10 adults globally, causing four million deaths a year. Bob started smoking when he was at the university. According to him, I started smoking because my friends smoked and I wanted to fit in, I had just entered the University and so wanted to make friends, little did I know that this was going to be the beginning of a regrettable effect to my health. Bob lives in Nigeria and schooled at the famous University in the eastern part of Nigeria ESUT (Enugu State University of Science and Technology) where students would congregate regularly to smoke and will go as far as stealing each other’s cigarettes just to satisfy their carvings. Bob smoked for more than 15years, although he tried several times to stop. He would quit smoking for a while and then find himself smoking again. Like he said, it was difficult to stop because I had my friends and some members of my family smoking around me, so I would always find myself going back to my vomit. In 2013, in his late thirties, Bob was diagnosed with a heart disease called Atherosclerosis, a disease in which a waxy substance called plaque builds up in your arteries, this can also cause a breathing problem, Bob had to be flown to India for a major operation and to receive some major treatment, Bod is another life we could have lost to a preventable cause such as tobacco. No one had to convince Bob to stop smoking; he has quit smoking and is proudly clean. 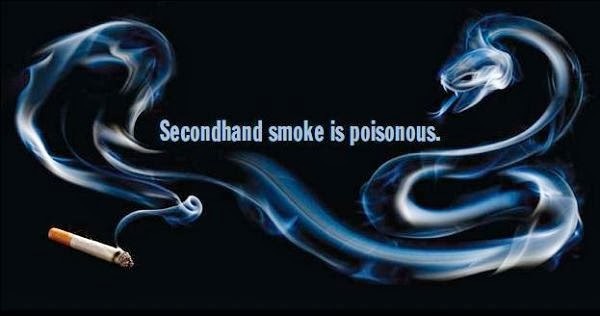 Breathing tobacco smoke can even change your blood chemistry and damage your blood vessels. As you inhale smoke, cells that line your body’s blood vessels react to its chemicals. Your heart rate and blood pressure go up and your blood vessels thicken and narrow. Lets prevent this dilemma from spreading more than it should, as together we can save more lives. Join us in making this strong appeal for the National Assembly to pass comprehensive tobacco control legislation bill, follow us on twitter, add your voice by visiting our facebook page, like our post, drop your comments and share widely with others. Together we can make the change that we all desire.